Tickets €11 – Dates Sep 19- 23 @ 18.30 – Tickets €15/ €13 conc. In house parties some of the greatest dramas and heated conversations happen initially unbeknownst to the other guests. Such is the case in Ciara Elizabeth Smyth’s new play All Honey where a couple Ru (Danielle Galligan) and Luke (David Fennelly) throw a housewarming party to celebrate moving into their new home. The setting of the play is a box room. The set is a rainbow of pastels with a door to the rest of the house centre of the set and there are several multicoloured box and cube frames to either side. As the various interactions between the characters happen and the story gets more hysterical you realise that the way the set is framed has the tone of a deranged soap opera! All Honey features five very different characters all of whom are played to full effect by the cast. In the play’s early scenes Ru listens to her friend Mae (Ashleigh Dorrell) confide in her about her suspicions about her own boyfriend Barry (Keith Jordan). Ru is depicted as the voice of reason while Mae is wonderfully neurotic in her fears which may or may not have a basis in reality. The dialogue between the characters is rapid fire. The atmosphere of high farce is set immediately. What All Honey does very effectively as a play is that it builds the comedy as it progresses. Ru and Luke try to keep their house party running as smoothly as possible but the introduction of the other guests Val (Ciara Elizabeth Smyth) and Barry (Keith Jordan) keep up the momentum. The play’s characterisation works so well because each character is individually funny. Val and Barry are afforded some of the best lines of dialogue but this allows them to interact with the others perfectly. Their personality types are all exaggerated but they all contain elements of people we may know in real life. At one point a dream is recounted by Ru to Luke in complete surrealist fashion and it demonstrates exactly what can be done in comic writing in a show like this. The costumes by Ellen Therese Fleming also define each character. You know exactly what kind of personality that characters like Mae, Val and Barry possess from the moment they are introduced. There is a great vibrancy to the whole production, from the direction by Jeda de Brí and the way all of the performances by the cast are depicted. It is a play that could easily be performed outside of Ireland as much of its humour is universal. 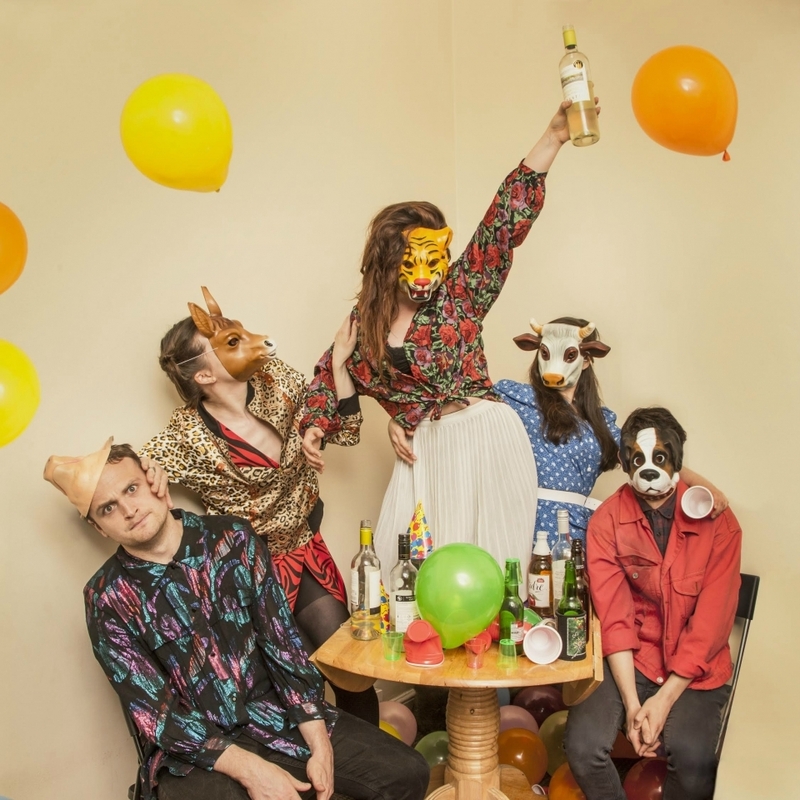 One of the great things about the Dublin Fringe Festival is the variety of productions available and All Honey is definitely one of this year’s funniest and most enjoyable shows.